My new brochure for training and presentation services is here. I have had the privilege of being able to present to a wide variety of audiences and diverse settings. I would identify the start of my public presentations from the bright lights of Passion Play. There I was cast into the theatric role as Jesus; placing me in front of hundreds of people each night for the course of 10 years. Theater was a place I ‘cut my teeth’ in learning the power of catching the attention of an audience by delivering an emotional and dramatic, life changing message through words and action. Through this venue I experienced, not only my own personal transformation, but watched hundreds if not thousands transformed by these performances every year. Therefore, it is fair to say that in the course of 10 years that included approximately over 75 performances toward over 40,000 people, I have gained invaluable lessons. Included and following this experience, I found myself in the role as director/producer and Board President. This afforded me the chance to speak in front of cast members and small groups to help motivate and communicate either specific instructions in addition to motivational / vision casting type messages. This was followed by my 6 years ( 2006 – 2012) of being a Worship Pastor that also included monthly pulpit preaching. In this role as worship and teaching pastor, I learned how to communicate biblical truths through music and pulpit presentations to a local, small church congregation; Grace Bible Church. 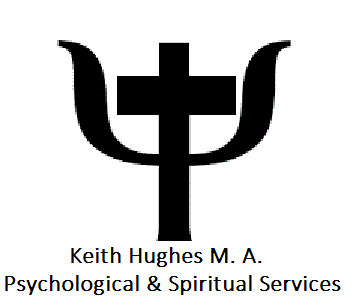 Following my experience as a Worship/ Teaching Pastor, I have been providing at times daily or weekly classes at local Psychiatric Hospital. In this setting, I lead or instruct patients in need of either hand on skills to cope with the severity of mental illness; and motivational presentations to illicit hope and understanding. I have been in this role from 2012 – Present. My public speaking has also been found in other specific and unique settings such as: Officiating Weddings; Funerals; Mental Health training and classes. It is my desire to be a vessel of hope and understanding whomever and whenever I present. Through my theatrical, church and clinical background, I think I have been able to develop my own style of presenting that can, hopefully, be impacting, thought provoking and effective toward anyone present.